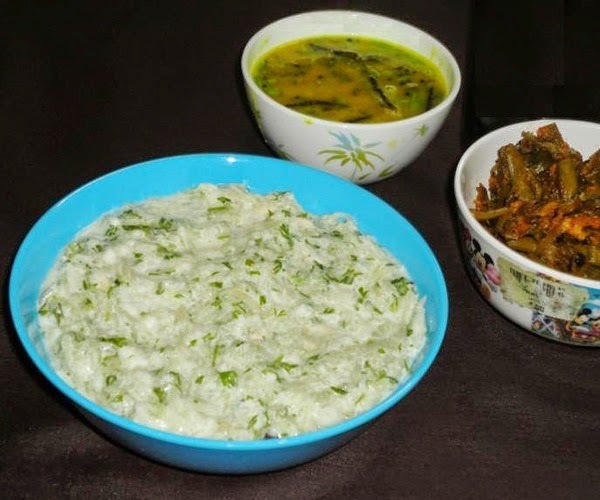 I prepared raita by combining steamed white gourd or lauki and raw cucumber. This raita is very healthy, simple and easy to prepare with easily available vegetables. It contains all the goodness of lauki, cucumber and yogurt. 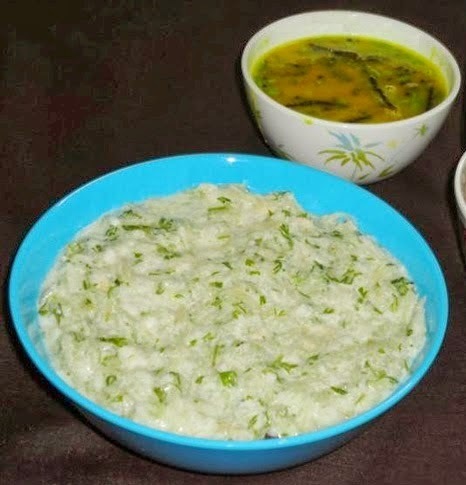 Cucumber and lauki has cooling effect hence the raita helps to keep the abdominal system cool and comfort. Peel and grate the lauki. Steam cook it until soft. Cool it. Add peeled and grated cucumber to it. Add whipped yogurt, chopped coriander leaves, sugar and salt to it. Mix well with a spoon. Heat 2 tsp of ghee/oil in a small pan. Fry chopped green chillies and jeera in it to make a tadka. Pour the tadka over the raita. Mix well and keep it in the refrigerator for 30 minutes. Serve chilled. 1. 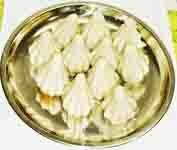 Peel and grate the lauki. Steam cook it until soft. Cool it. Add peeled and grated cucumber to it. 2. Add whipped yogurt, chopped coriander leaves, sugar and salt to it. Mix well with a spoon. 3. Heat 2 tsp of ghee/oil in a small pan. Add the chopped green chillies and jeera. Fry for a whilet to make a tadka. Pour the tadka over the raita. Mix well and keep it in the refrigerator for half an hour. 4. Serve the cucumber white gourd raita chilled. this is new combo...nice cliks..
love this combo...yummy and healthy.. Very healthy raita. Looks tempting! Combination is new to me.but very healthy raita.. Healthy and delicious!! While i do make cucumber raita and lauki raita separately, love the way you have combined both! !